The screening will be followed by facilitated discussion with special guest Ardath Whynacht. THE PRISON IN TWELVE LANDSCAPES excavates the hidden geographies of the modern prison system by offering a film about the prison in which we never see an actual penitentiary. Instead, the film unfolds as a cinematic journey through a series of seemingly ordinary landscapes across the USA where prisons do work and affect lives. 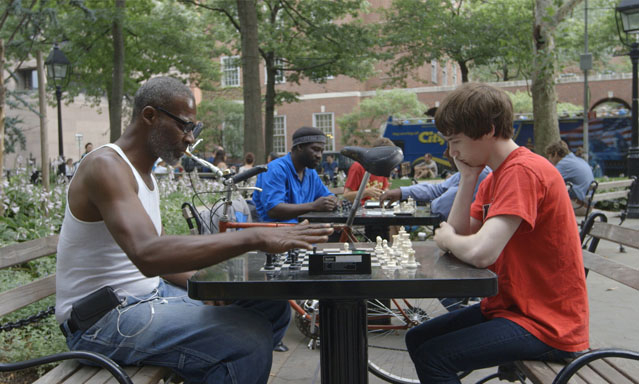 A meditation on the prison and its invisibility in the era of mass incarceration, THE PRISON IN TWELVE LANDSCAPES offers a tender and powerful cinematic subversion of the prison’s disappearance from public view. ARDATH WHYNACHT is a feminist artist-scholar who is curious about the ways in which we respond to and think about “harm” and violence. Her doctoral research explored notions of dis/order, trauma, and incarceration and she teaches and makes art with youth living as federally-sentenced offenders or as patients in secure mental health facilities. She is a faculty member in Sociology at Mount Allison University, a founding a member of Phin Performing Arts and YOUth Against Stigma, and maintains a solid commitment to rabble-rousing, mischief-making, and the long and difficult process of transformative justice.